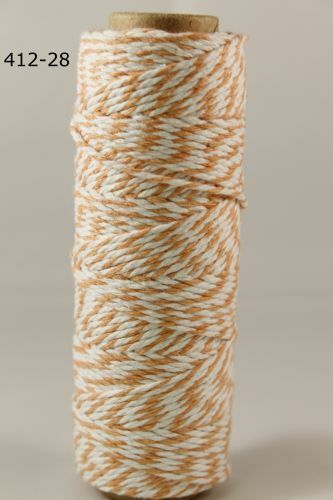 Incredibly versatile this 100% cotton bakers twine can be used in many ways. Also known as craft string you can use it to embellish cards and scrapbook pages, tie on charms, create bows and tassles or tie up parcels. In orange and white it is perfect for bright summery makes or even for Halloween projects.